Another affordable android phone to look forward from MyPhone- the MyPhone Rain 3G. 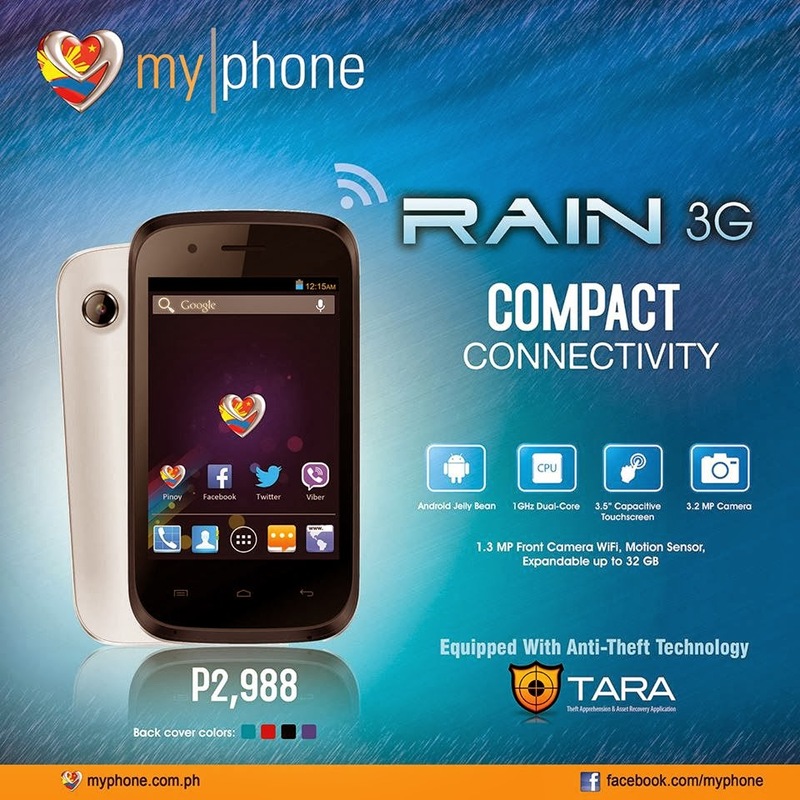 The Rain 3G is said to be the most the most affordable android smartphone from MyPhone. It’s only P2,988! The new handset is powered by 1.0GHz Dual-core processor and runs on the latest Android Jelly Bean 4.2.2 OS. It’s equipped with Anti-Theft Technology, Theft Apprehension and Asset Recovery (TARA). This phone is also feature 3.2MP back Camera paired with 1.3MP Front Camera. MyPhone Rain 3G will surely give you a compact connectivity with its amazing features. For more details, blog, unbox and review about MyPhone Rain 3G , check out MyPhone website and their Facebook Page. Visit the nearest MyPhone store, kiosk and accredited dealers for other inquiries. Piso Net is the newest computer rental in Manila?